Deep Silver and Volition have released a brand new trailer for their upcoming open world action game Agents of Mayhem featuring some of the agency’s finest heroes, The Firing Squad. While the team may not be the ideal heroes with their less than stellar morals and a penchant for death and destruction, this team makes up for it with an inability to quit until every LEGION trooper is a bloody mess. The team consists of Saints Row alumni Pierce Washington, assassin Scheherazade, and former Yakuza member Oni. Washington packs a submachine gun and a boombox capable of hypnotizing enemies. Scheherazade is a highly mobile fighter and master of the blade. Oni comes equipped with with a mask that can cause enemies to freeze in terror, allowing Oni to close the gap and engage with his suppressed pistol. 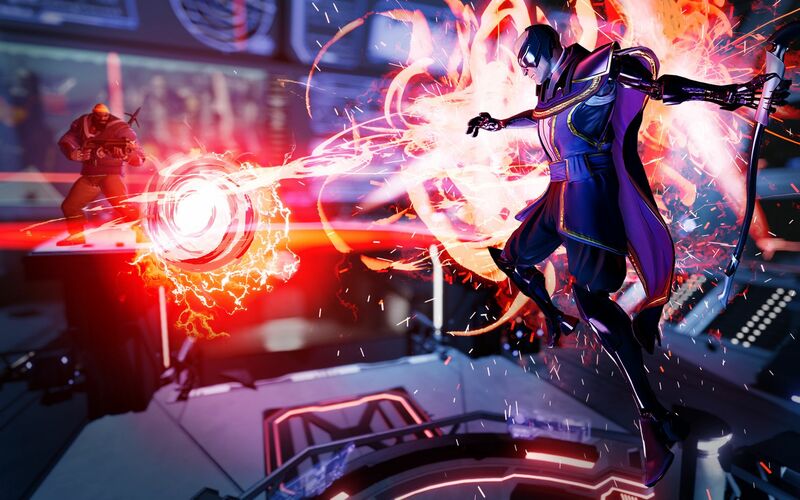 Agents of Mayhem is set to launch on PlayStation 4, Xbox One, and Windows on August 15th in the USA and August 18th worldwide. Those who pre-order the game will get Saints Row star Johnny Gat as a 13th agent. Saints Row The Third Pre-Order Details Are Hyperactive.